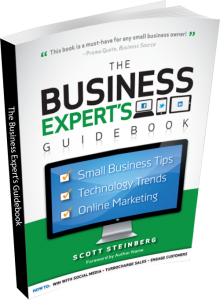 Scott Steinberg is CEO of strategic consulting and product testing firm TechSavvy Global, and a noted keynote speaker and business expert. Hailed as a top tech expert and parenting guru by critics from USA Today to NPR, he's also an on-air analyst for ABC, CBS and CNN. Businesses can go bankrupt and unsold products can pile up in the warehouse, but every venture is a potential learning experience. Investors get skittish and bail at the 11th hour? You’ll know how to better choose strategic partners and negotiate deals going forward. Couldn’t successfully expand into Europe? Use the insights gained into international distribution to craft a more viable strategy next time. Clients indifferent to your sales pitch? Maybe you’re trying to solve the wrong problem. Such learning may seem expensive, but ignorance is costlier still. Knowledge gained through failure is directly applicable to future ventures. So try, fail, and try again until you get it right. Just remember: Only a fool makes the same mistake twice. When exploring new market opportunities or pitching potential clients, remember that situations change. Just because your approach or offer doesn’t make sense to a potential customer or partner now doesn’t mean that it won’t later on. Markets and strategies evolve, internal stakeholders come and go, and enterprises’ needs constantly change. Never be afraid to pick up the phone for a follow-up, especially if situations have shifted in your firm’s favor. Knock politely on many doors—and don’t be afraid to crawl in an open window. Ask 50 people at the same business the exact same question and you’re guaranteed to get just as many different answers. For more business leadership and management tips, read the full article at Inc magazine.